Designed by Thurber Architects, this Phase 3 Watercolor home boasts 5 bedrooms, 6 baths, plus a large bonus room and bunk room with additional sleeping quarters for guests. Built in 2012, and fully updated in 2017, this home has all the beautiful finishes and upgrades that you could ask for. All Thermador appliances, custom cabinetry and custom tile work can be found in the kitchen, along with solid stone and granite countertops in both the kitchen and baths. Designer lighting, modern oak flooring, and shiplap accents were used throughout the home. The spacious layout of the main living areas make this home perfect for entertaining, as do the home's many outdoor spaces like the two large covered front porches, a screened-in back porch, outdoor kitchen & dining area, and private pool.The home backs up to one of the neighborhood's naturally wooded areas providing a lovely backdrop, as well as privacy. 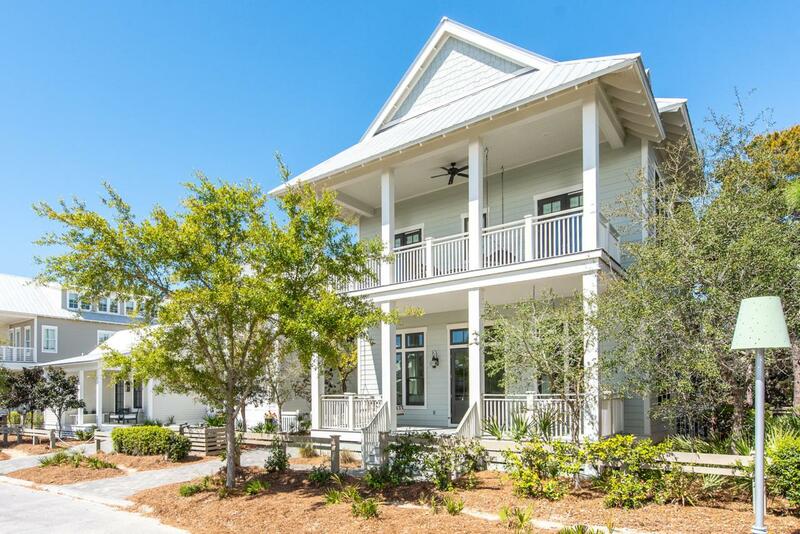 The lifestyle community of Watercolor holds some of South Walton's most beautiful homes in close proximity to shopping, dining and some of the most beautiful beaches in the world! Buyer is responsible for personally verifying details about this property. Any information contained in this listing is believed to be accurate, but is not guaranteed.